Foodies! If you are craving for delicious Thai Cuisine, Thailand’s leading beer brand, Chang celebrates the delicacy and diversity of Thai cuisine with the return of Chang Sensory Trails that is happening in Singapore from 31 August to 1 September 2018 at The Lawn at Marina Bay. Get ready to feast on authentic and delectable range of Thai Cuisine that embodies the Thai philosophy of Lamiat which emphasises attention to detail and looking beyond the ordinary. 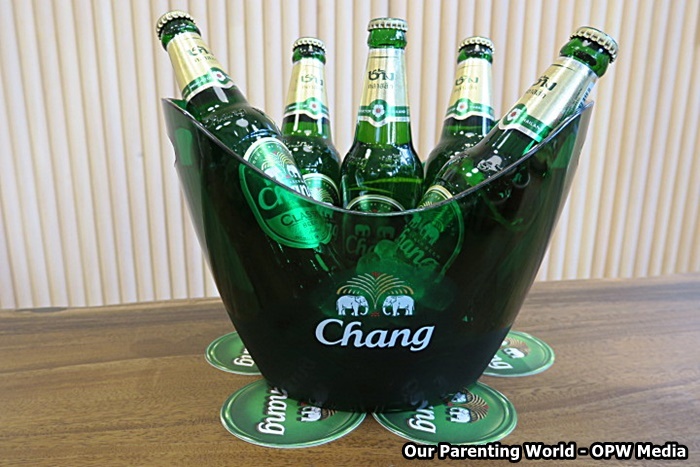 The crafting of Chang beer takes after the Thai philosophy of Lamiat, it has captured the hearts and taste buds of the Thai people that makes it the leading beer brand in Thailand. Chang Sensory Trails 2018 will see eight Thai restaurants collaborating with Chang beer to bring out the real and natural flavours to entice diners and serve authentic Thai food. 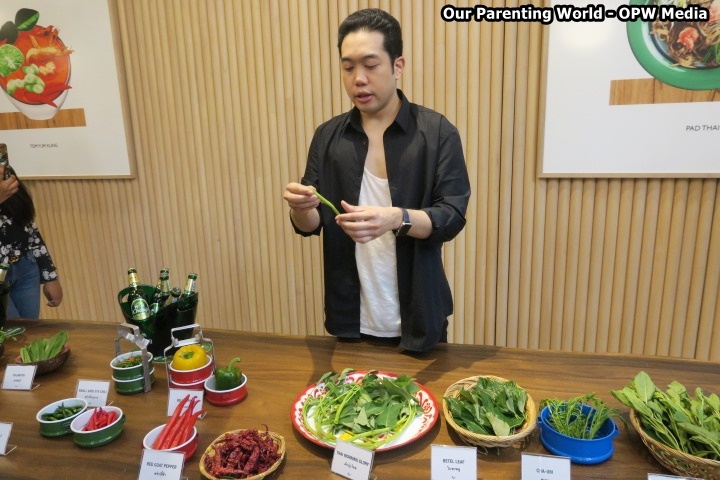 During the media session at Baan Ying, one of the eight restaurants taking part in the Chang Sensory Trails 2018 introduced to us a wide variety of herbs, spices and fresh ingredients that are used to create the dishes. 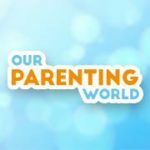 It is an eye opener to see all the ingredients being used and we are certainly impressed! 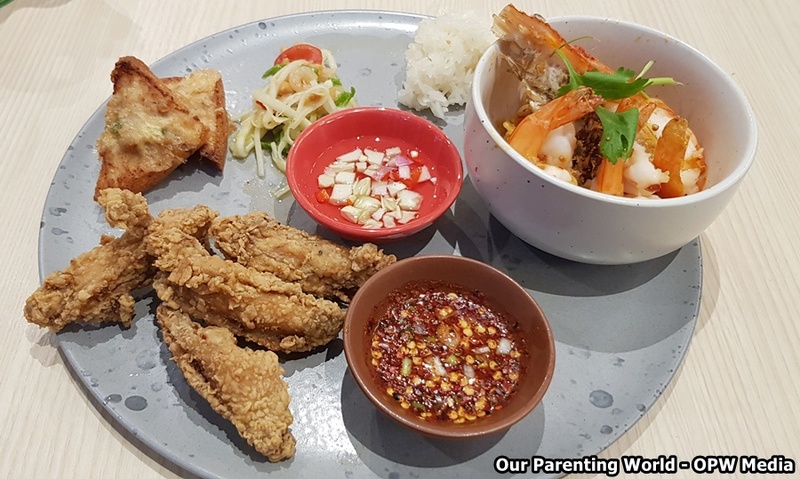 Thai food is very popular in Singapore, if you are thinking of where to go for good, authentic Thai food, Baan Ying is certainly one of the best places to visit! Baan Ying is a famous Thai restaurant from Bangkok that serves homely and tasty dishes. It strives to impress diners with some of its ingredients being imported all the way from Thailand to make sure that the taste is just like what they served back in Thailand. Tom Yum is one of the most famous dishes in Thailand and this noodles version is inspired from the streets of Bangkok. The soft, springy noodles is tossed in special Tom Yum Sauce and generously served with Giant River Prawns with an onsen egg. This is a combo made in heaven using chicken thigh which has been seasoned in Southern Thai marination overnight. The meat is fried till crispy perfection with Baan Ying Som Tum and it comes with sticky rice which goes well with the tender and juicy meat. This is a simple, delightful and heartwarming dish that is widely enjoyed by the Thais as comfort food. It is flavourful using home made shrimp and pork paste on toast fried till golden brown, it is so crispy and crunchy. Needless to say, it is also a hot favourite among the kids and our kids love it! Now you don’t have to travel all the way to Thailand to enjoy authentic Thai food, visit Baan Ying to satisfy your cravings. It serves a wide range of appetising authentic and irresistible Thai cuisine that will surely satisfy your palate! What’s more, mark down your calendar and look out for the coming Chang Sensory Trails 2018 by Chang Beer, get ready to indulge in signature dishes prepared by eight participating restaurants. They are Aroy Dee, Baan Ying, Bangkok Jam, Gin Khao, Little Elephant, Long Chim, Tamarind Hill and Un-Yang-Kor-Dai. This year, Thai home recipes will take centrestage at Chang Sensory Trails 2018. You can look forward to enjoy the Thai chefs’ dishes which are inspired by the home recipes that they grew up with. Each of the eight restaurants will have on offer three signature dishes that would hark back to the familiar recipes from their hometowns in Thailand. Don’t miss it!